A great marketing strategy for any business should incorporate a range of different methods and avenues. It’s not enough to just use SEO or PPC. It’s not enough to just have a great website. And it’s not enough to pay for banner ads. After all: every company is doing those things! No, in order to stand out, you need to think outside the box and market in ways the competition isn’t. You need to ‘be everywhere’. You need to create a marketing campaign that is engaging, and that is multi-channel. 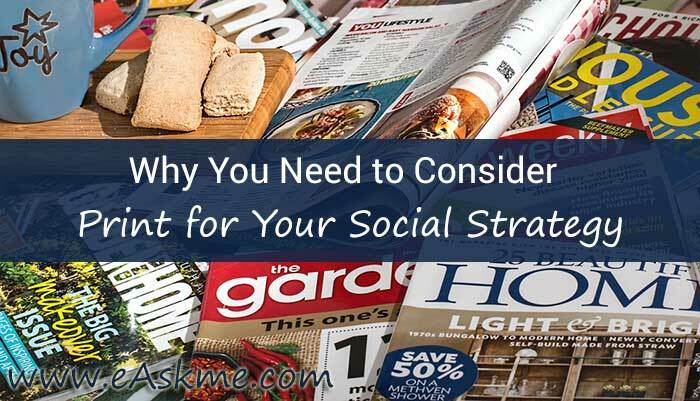 And one great way to do that is by combining a social strategy with a print campaign. So, a social strategy means being on social media: on Facebook, Instagram, Twitter etc. And a print campaign means using a direct mail agency in San Jose – for example – in order to promote your business via letters, flyers and more. The question is: what do these two things have in common? And the answer is engagement. Social is powerful because it lets you communicate with your customers and audience. This is a communication tool first and foremost, after all. But it is still also rather removed, cold and distant. Your audience may not feel particularly taken care of. Post meanwhile is also a communication tool. But it has so much more of a personal touch. I’m not talking about typical flyers in this case, but rather the use of something like a personalized letter sent to a customer’s door on their birthday. This can make a world of difference: making your customer feel truly valued and creating a very positive experience for them. And with social media, it’s easy for you to collect a lot of that kind of data! Or how about competitions with print prizes? Let your customers interact with your brand in a tangible manner and you just took your engagement to the next level! Here is another option. AR stands for 'Augmented Reality' and is a way that you can link your online promotional efforts with your 'real world' materials. This works by allowing users to 'scan' your codes with an app in their phone in order to be linked directly to your website/video/checkout. For instance then, say you have posters hanging at a train station, including an AR code will then allow passers-by to scan in those posters in order to automatically open your website on their phone. This is a fantastic way to get more from your advertising as it allows you to convey much more detailed information than you possibly could with just a single poster, and you'll add an interactive element to your advertising that makes it more engaging for people who might otherwise have just walked past. At the same time though, because it's out there in the 'real world' it will be easier for your images to grab attention and you'll find that your message gets seen by a much wider audience. This way you get to benefit from the best of both worlds - the visibility and authority of a real world advert but with the flexibility and interactivity of online advertising. It's time to stop thinking about marketing as either online or offline. The very best marketing should be both. And one ideal, perfect example of this is to combine social media engagement with physical letters and products that your audience can interact with and which will make them feel cared about and valued. I once received a birthday letter from a game development company as a kid, and it’s something I still remember to this day!